York Minibus also provides a selection of executive automobiles with experienced chauffeurs fully prepared to service any airport in York. We aim to arrive to collect you in as little as 30 minutes from the time of reservation and to always drop you off safely on time. \Whether it’s Manchester Airport, Doncaster Airport, Leeds Bradford Airport, Humberside Airport or locations farther away, our experienced chauffeurs will navigate through traffic and get you there on time. Years of experience coupled with street savvy make our trusty chauffeurs the best-prepared people to handle time-sensitive airport transfers by minibus in York. When it comes to Airport Minibus York transfers, you’ll be hard-pressed to find a more reliable and a more convenient service than what we can offer you at York Minibus. We have more than a decade’s worth of experience to fall back on when it comes to airport transfers, and we’re looking forward to putting it to good use by getting you and your group to and from the airport on time and in complete comfort. When you book your Airport Minibus York service through us, you enjoy the use of modern, fully equipped vehicles decked with the latest technology, as well as extra boots and even trailers upon request, to accommodate your larger luggage safely. All of our drivers are CRB checked and vetted, and they’ve all taken gruelling driving tests to obtain special licences. With the help of our drivers, you can alight your airplane one moment, and enjoy a sumptuous meal at 31 Castlegate or a well-deserved rest at the Churchill Hotel the next. Nothing compares to enjoying peace of mind, comfort and luxury on your way to or from a busy airport, so don’t rely on anyone else for your airport transfers. Call York Minibus today to book your executive airport transfer today! When you need to hire a coach to take your delegates or any other small group to or from the airport, York Minibus is your premier choice. We have a top-rated selection of automobiles designed to meet all your corporate and personal transportation needs, with a fleet of vehicles and chauffeurs ready at a moment’s notice to service the airports in York. 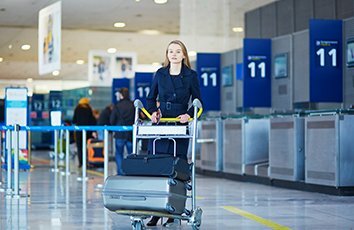 Our experienced drivers are able to take you to the airport of your choice, be it Manchester Airport, Doncaster Airport, Humberside Airport, Leeds Bradford Airport, or others further afield in a flash. We pride ourselves in having excellent timing skills, coupled with years of experience and street savvy, and our drivers use all of these abilities to navigate through traffic. Whatever the weather, York Airport Minibus will get you there on time. A decade of experience in airport transfers is what recommends us as your shuttle service provider, and we’re looking forward to putting that experience to good use as we drive your group in complete comfort to and from your airport of choice. Our shuttle service operates a fleet of York Airport Minibus vehicles decked with the latest technology and fully equipped to cater to the needs of people of all ages and abilities, for your complete satisfaction. We also offer extra boots and trailers, upon request, for customers with extra luggage, so please feel free to speak to a representative if you’d like to know more. We may be able to collect you as early as half an hour from the time of reservation, so it’s never too late to book. We also offer seasonal discounts and we have special early booking deals regularly, so it’s never too early to book, either. Call now to book a shuttle!